Honestly, this is one the best posts on UI automation I’ve ever read. Well done. Great post! I thought this when I attended the webinar. 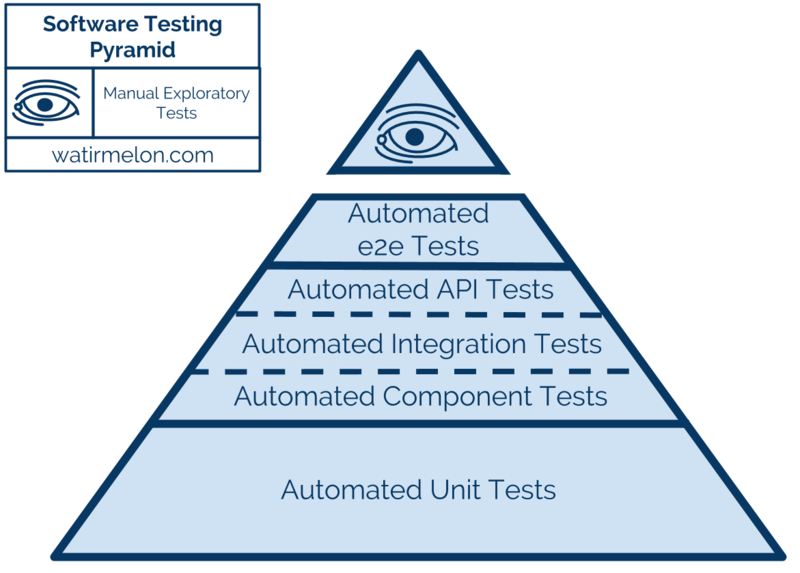 In my opinion it is all about a layered balance of automated tests. end to end and fix your system/read the logs booch..seriously? Fantastic post. Your ‘Software Testing Pyramid’ is being printed as we speak and posted in my office! > If I had to choose just one, I would definitely choose a comprehensive suite of automated unit tests over a comprehensive suite of end-to-end/system tests any day of the week. I think unit tests help you as a developer to insure that your units/functions work. Unfortunately, unless you are writing libraries or apis, your end users couldn’t care less if your functions work or throw exceptions correctly. What matters the most is that your users experience your product in the way you want them to. **Everything** in your system tries to accommodate that. If every bit individually works but system as a whole fails, you have failed and no amount of unit tests will save you. I prefer journey style integration specs first, unit test crucial parts second and full coverage third. Integration specs are especially valuable when you starting a new product because you can change nearly everything, still have a passing spec and be assured that your users will have a working product. This can save you a ton of time rewriting specs over and over again as you are trying to nail down implementation. Too many software blogs are full of false dichotomies and scenarios taken to extremes! It’s nice to see some balance. It’s important to realize the context of tests at each layer. You need tests at each stack layer of application. Unit Tests are aimed at finding programmer errors. Unit Tests (no matter how many of them or how much coverage) don’t find failures in the application. UI system based tests aim to find flaws in the user journey which is important to the end user. In either case, I don’t at all believe or care in the number of tests. It’s the quality of the tests that are important. Certainly Salesforce are not using clever test design techniques such as pairwise or model based to both reduce the number of tests and increase test coverage. IMHO it’s a myth that functional tests must be end to end. It’s not black and white, functional e2e vs. unit tests; there’s that whole middle layer (automated API/component tests) where you can do excellent functional tests on the specific parts of the system that provide said functionality. This is where the BDD / Specification by Example approach & tooling can shine.